At Incentive Solutions, we are always looking for ways to give back to the community and help make Atlanta a greater city. This year, we’ve participated in Agape Atlanta’s Great Backpack Giveaway, as well as Agape’s Thanksgiving Basket Giveaway. We also joined The Bert Show's Big Thank You in writing Thanksgiving letters to our troops overseas. On December 5th, we will be partnering with Children’s Healthcare of Atlanta (CHOA) to raise money for local children’s health service, and we invite you to join us. Each holiday season, our company President and COO, Mark Herbert dons his rainbow wig, red nose, and big shoes along with the rest of Atlanta’s Distinguished Clown Corps. 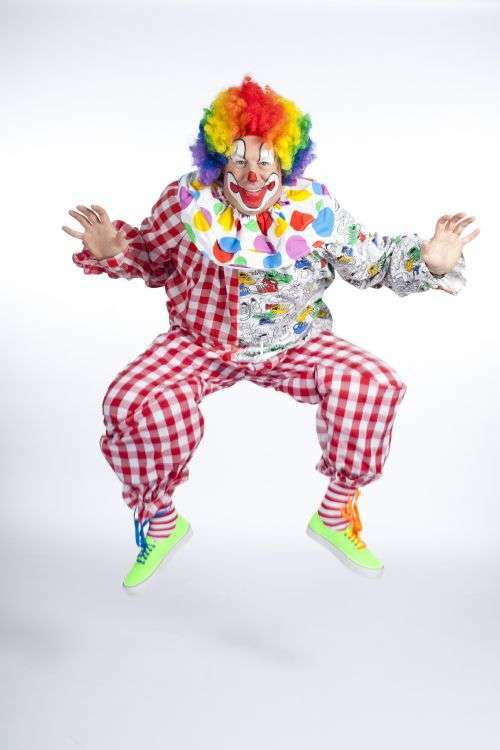 Consisting namely of local business owners and leaders, the Clown Corps donate their time and funds from their own companies to help raise money for CHOA. After the Distinguished Clowns greet children at CHOA with laughter, they join CHOA’s televised Children’s Parade to give out treats along the route. Since its establishment in 1991, the Distinguished Clown Corps has raised over one million dollars for local children’s healthcare. This year, all money raised will go toward CHOA’s 2015-2016 Friends fundraising goals. These goals include three new critical care fellows at Egleston hospital’s Pediatric Intensive Care Unit (PICU) as well as new staff members at the Stephanie V. Blank Center for Safe and Healthy Children. The main goal of the Clown Corps is to raise money that helps elevate the quality of healthcare Atlanta’s children receive. Also important is the enthusiasm, positivity and holiday cheer that Distinguished Clowns offer CHOA patients when they meet and interact with the children in person. Joy and laughter can be healing, which is exactly why Mark Herbert plans to participate in the Distinguished Clown Corps for the rest of the foreseeable future. Those who are unable to join the Distinguished Clown Corps can pitch in by donating here to help Herbert and the other Distinguished Clowns reach their fundraising goals.